Microdermabrasion is a non-surgical procedure using a Silhouette Tone Machine that gently resurfaces the skin and effectively minimizes the appearance of scars, hyperpigmentation, fine lines, sun-damaged skin, blemishes, uneven skin tones, textural damaged skin and enlarges pores. As we all know; age, diet, environmental pollutants and sun exposure are the leading cause of skin deterioration and premature aging. These elements take their toll on your skin on a daily basis, but now you can fight back with an effective microdermabrasion process. At Mederm Esthetics & Laser Clinic, you can experience a gentle and safe way to repair, rejuvenate and, in some cases, reverse the again process. The rejuvenation treatment begins with resurfacing the upper layers of the epidermis. By removing the upper layers, the skin is more receptive to a controlled stream of infusion of natural mineral crystals to gradually erase flaws and blemishes. This process removes surface cells; thereby revealing newer and healthier skin. It also refines pores, coarse and granular skin, reduces uneven pigmentation while smoothing superficial scars and blemishes. The pulsating light portion of the treatment stimulates a repair mechanism and collagen production. The penetration of the collagen helps to smooth and soften the appearance of wrinkles. It also helps in reducing the size of pores and improves skin texture. The electrodes from the red light apply non-invasive Micro Currents that helps to lift sagging skin and tighten facial contours. The microdermabrasion treatment is gentle, non-invasive, totally natural and performed with no discomfort. During your complimentary consultation, your skin type based on age, lifestyle and skin condition will be discussed to determine the number of treatments required. Clients usually report a noticeable improvement after just one treatment. Microdermabrasion is ideal for both men and women who want to minimize the look of scars, hyperpigmentation, fine lines, sun-damaged skin, blemishes, uneven skin tones and textural damaged skin. It is an effective solution for those desiring healthy, younger-looking skin. Yes, microdermabrasion is generally safe for all skin types and colors. The procedure makes subtle changes to the texture of the skin resulting in no skin color change or scarring. After treatment, the skin has some temporary redness and appears pink; however, most people recover with 24 hours. 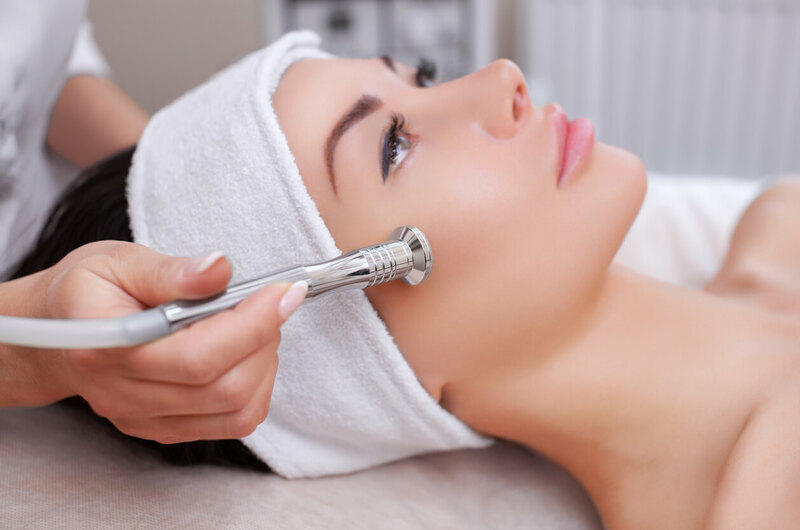 Since microdermabrasion uses non-allergenic crystals for skin treatments, it is an excellent treatment option for skin that is sensitive to chemicals. Additionally, microdermabrasion requires no anesthetics prior to the procedure, so there is no downtime for healing. Most people can resume their normal activities immediately. During your complimentary visit with your esthetician, your skin type based on age, lifestyle and skin condition will be discussed to determine the number of treatments required. Generally, the total number of treatments can range anywhere from 4 to 6 with a maintenance schedule thereafter. Clients usually report a noticeable improvement after just one treatment. The microdermabrasion treatment is a gentle, non-invasive and totally natural procedure performed with no discomfort. There may be some temporary redness in the treatment area, but this is harmless with no pain experienced. Although everyone’s threshold for discomfort is different, you can discuss any concerns with your esthetician prior to treatment.